On 3 November at 17:30, Ivorypress hosted the international launch of El fotolibro latinoamericano, published by RM. The round table discussion at the launch included the author of the publication, Horacio Fernández, and British photographer Martin Parr, who were invited to this event by the Instituto Europeo di Design, within the framework of the new European Master’s Degree in Artistic Photography. Furthermore, attending the launch was Carlos Alberdi, Director of Cultural and Scientific Relations at the AECID, Ramón Reverté and Antonio Sanz, the directors of RM and Ivorypress, respectively. 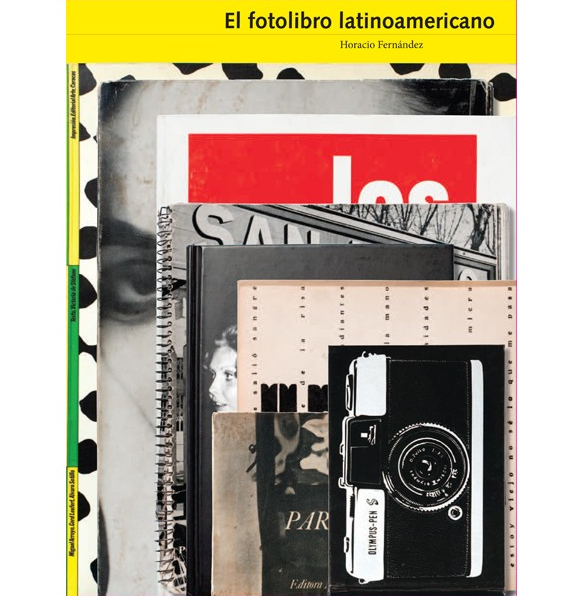 El fotolibro latinoamericano is a selection of facsimiles of 155 works published since 1920 up until the present. The collection includes volumes by renowned figures such as Claudia Andújar, Bárbara Brändli, Manuel Álvarez Bravo, Horacio Coppola, Paz Errázuriz, Graciela Iturbide, Sara Facio, Paolo Gasparini, Daniel González, Boris Kossoy, Sergio Larrain and many others. It is divided into thematic sections, such as ‘The city and books’, ‘The forgotten’, ‘Artist´s photobook’, or ‘Hard times’. To select the photobooks, the project was guided by a committee of researchers, academics, editors and photographers, made up of Marcelo Brodsky, Iatã Cannabrava, Lesley Martin, Martin Parr and Ramón Reverté, who have chosen representative photobooks published in Argentina, Bolivia, Brazil, Chile, Columbia, Cuba, Ecuador, Mexico, Nicaragua, Peru and Venezuela. The research that culminated in this publication was supported by the Agencia Española de Cooperación Internacional para el Desarrollo (AECID), the Fundación Televisa and the Centro Cultural de España en São Paulo. The resulting selection offers new and revealing perspectives on the history of Latin American photography, which has been insufficiently documented up until now. Horacio Fernández’s text, which accompanies the edition, is based on exhaustive research that does not merely explore each title and individual photographer thoroughly, but also delves into the region’s multifarious social, political and artistic histories. Likewise, the publication includes a special section on the designers of many of the selected volumes and their contribution to Latin American design in each period. El fotolibro latinoamericano was published in Spanish by Editorial RM, in English by the Aperture Foundation and Televisa Foundation, in Portuguese by Cosac Naify and in French by Images en Manœuvres Éditions.